The dimpled design inside this Tech21 case ensures that the force of any impact is dissipated and won’t carry through to crack or damage your Droid Turbo. The cut-outs are accurate and large enough that you won’t have trouble using the ports or the camera, but the button covers are a little stiff. The smokey aesthetic is subtle and translucent, so you can see the Motorola design beneath, plus there’s a slight orange tinge around the sides, which gives it a unique look. It’s comfortable to hold and it does add a little grip. If you need something really tough for your Droid Turbo, then look no further than the aptly-named Lifeproof Fre. This case offers 360-degree protection. Drop it in water, and it’ll keep your phone safe to a depth of to two meters for up to an hour, plus it will keep dirt and dust out, and safeguard your phone from drop damage for falls from up to two meters. 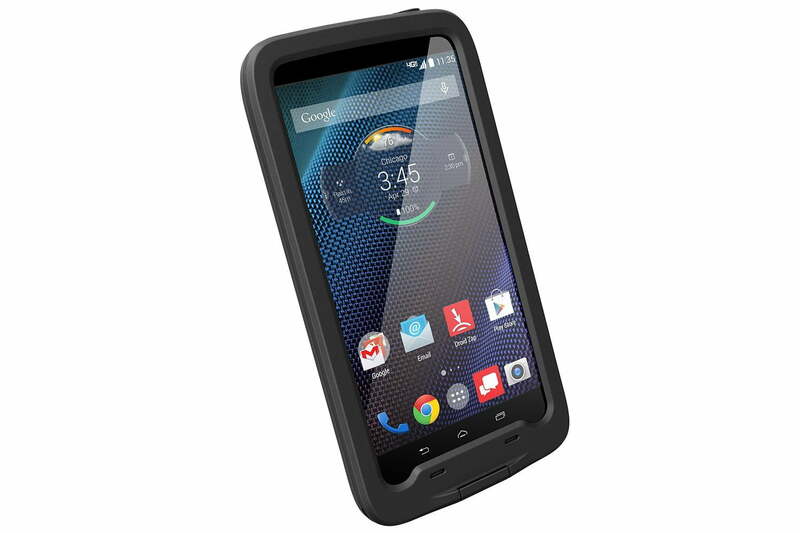 This is really rugged protection that meets the military 810G standard and scores an IP68 rating. However, this degree of protection isn’t achieved without compromise. The case definitely adds bulk, it muffles the sound significantly, and it impacts on usability, specifically the soft-touch buttons beneath the screen. 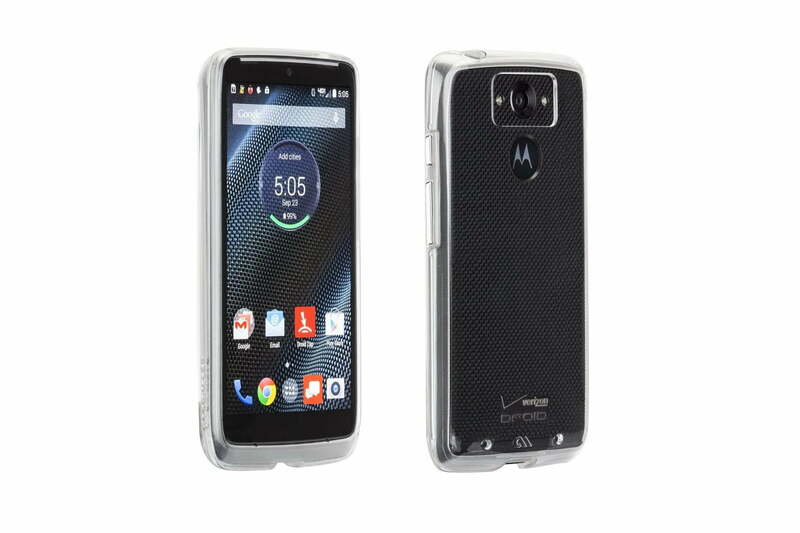 This translucent case is a good choice if you want to be able to see your Motorola Droid Turbo. There’s a hard, clear back panel, and a malleable bumper that sits inside to absorb any impact shock. The button covers are good, the cut-outs are generous, and it’s a pretty slim option. The downside with this case is the fact that the outer shell is really smooth, slippery, and prone to picking up fingerprints and scratches. There is a tiny lip on the front to protect the screen, but this definitely isn’t a rugged case. 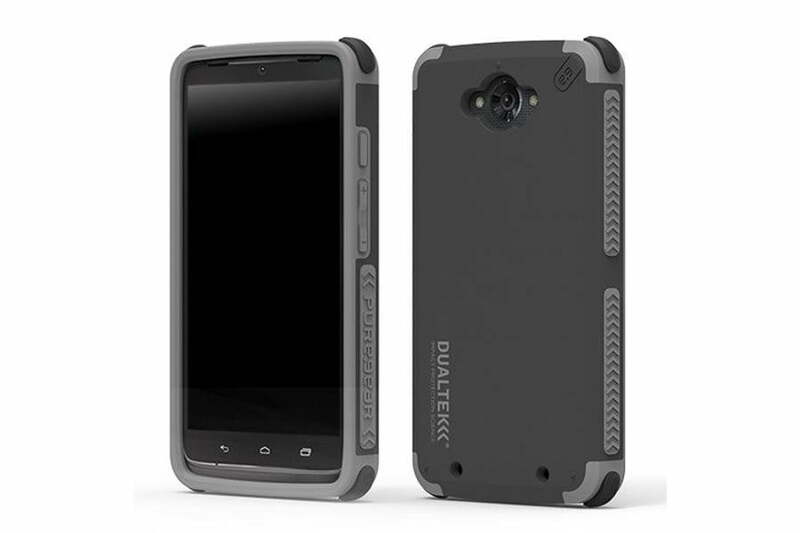 The blocky aesthetic of PureGear’s DualTek case is not going to be to everyone’s tastes, but it is a practical design. The sides have rubbery, textured grips, the button covers work well, and the corners are reinforced to bear the brunt of an impact. The case fits perfectly and the big bezel on the front protects the screen. The openings are a little snug, so some audio jacks might not fit, and you may experience problems with flash photography as the light is prone to bouncing back off the camera cut-out. 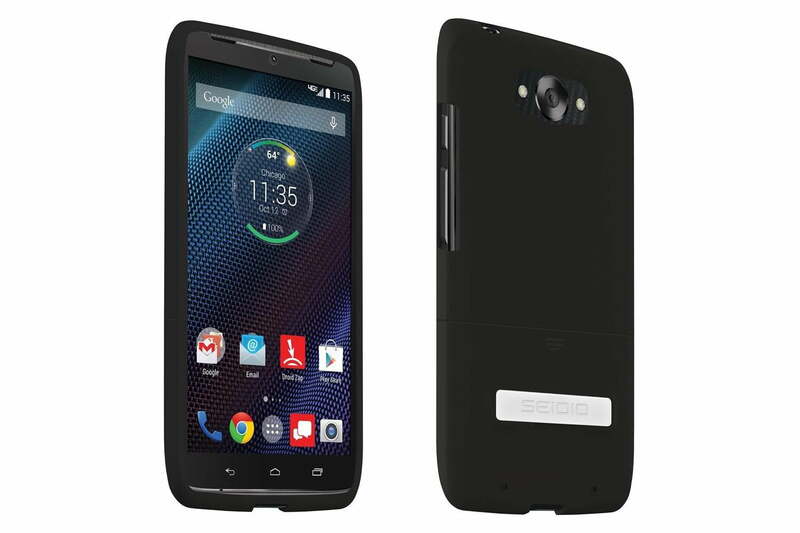 Our final case has something that none of the other Droid Turbo cases on the list do – a kickstand. It can be handy to be able to prop up your phone to watch a movie or read hands-free. It’s held in place magnetically, so it doesn’t pop out uninvited. It’s also the only real detail to speak of with the Seidio logo and a metallic, silver finish. The case itself is easy to fit because it comes in two parts and it has a soft-touch, matte finish in black, blue, or red. The cut-outs are generous, so you get full, unfettered access to buttons, ports, and the camera. 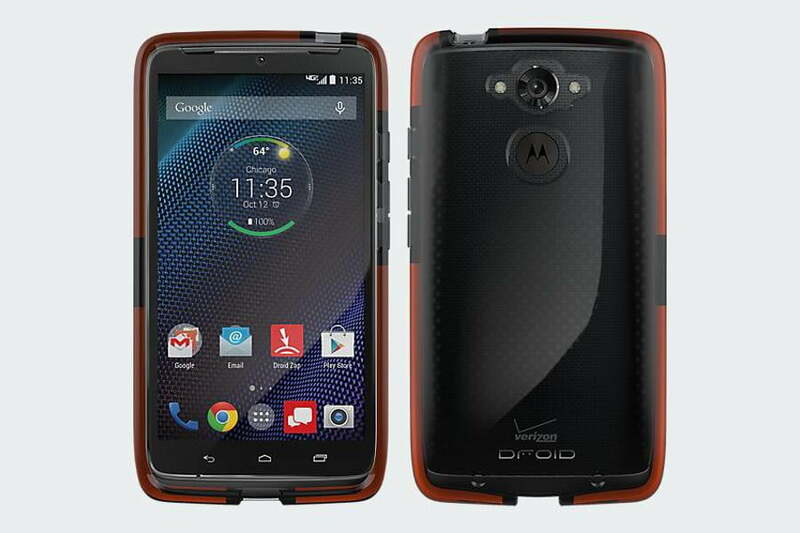 That’s all the Motorola Droid Turbo cases we have for you right now.